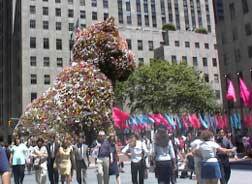 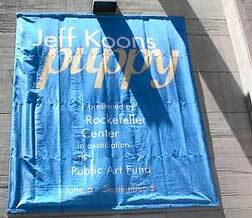 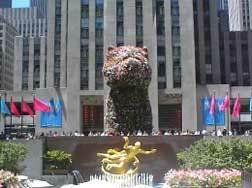 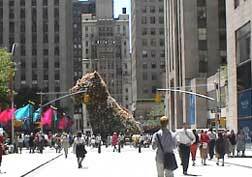 Jeffrey Koon's Puppy will be on display in Rockefeller Center until September 5, 2000. 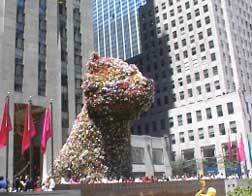 This giant topiary puppy is made completely from flowers and plants! 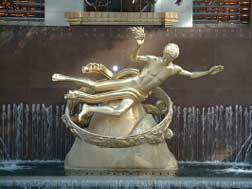 Prometheus keeps an eye on the ice skaters..